Hey kids! 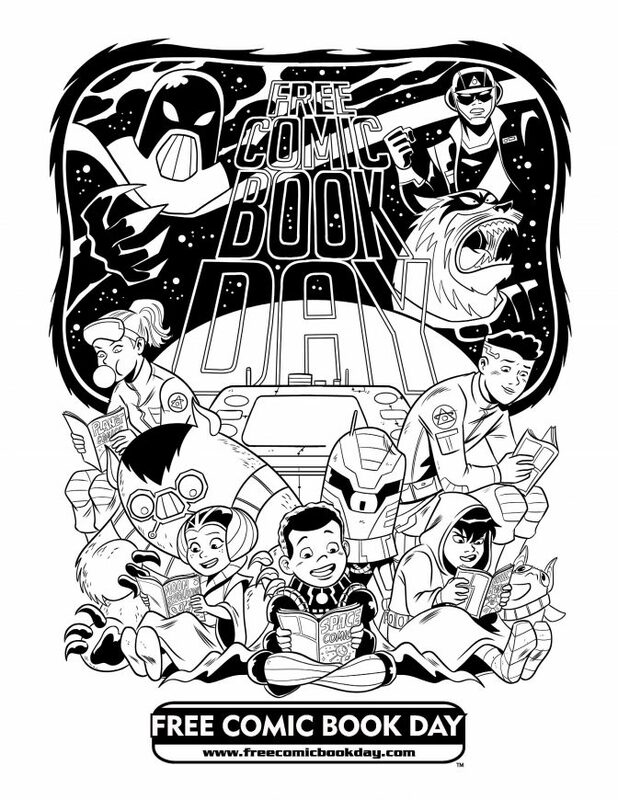 Free Comic Book Day is approaching! We have a colouring contest for you to enter to win a cool prize. The contest runs until April 30th. To enter, print out the colouring page below, or pick up a copy at our location. Colour the page and bring it to Alpha Comics it before April 30th to be entered to win. One winner will be selected. The winner’s parents/guardians will be contacted by May 7th. Coloured art will be displayed in our shop’s storefront. Here’s what you have a chance of winning. 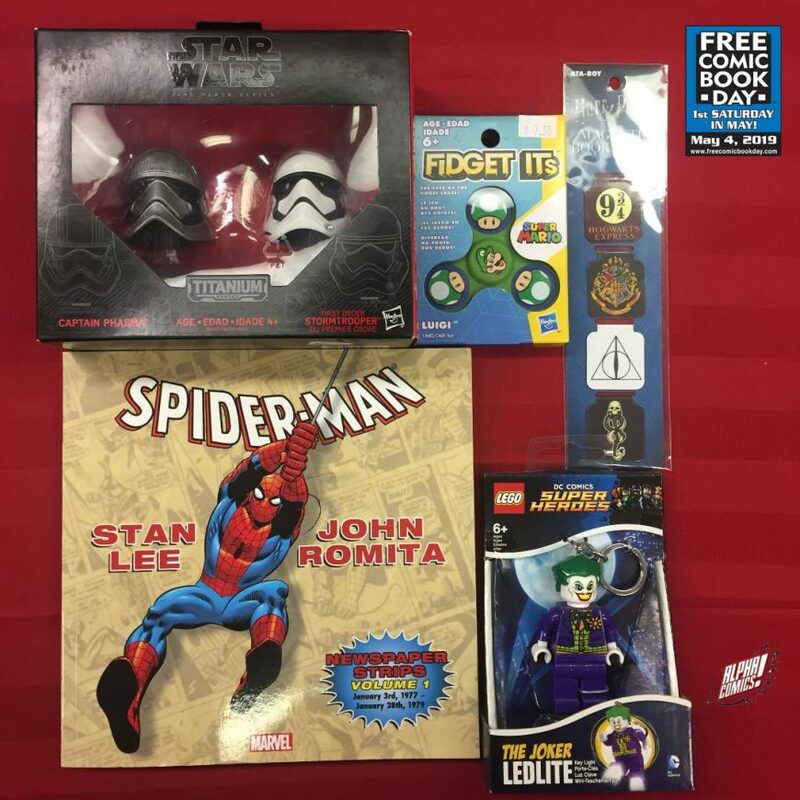 Our prize pack has a $109.50 retail value. Good luck! 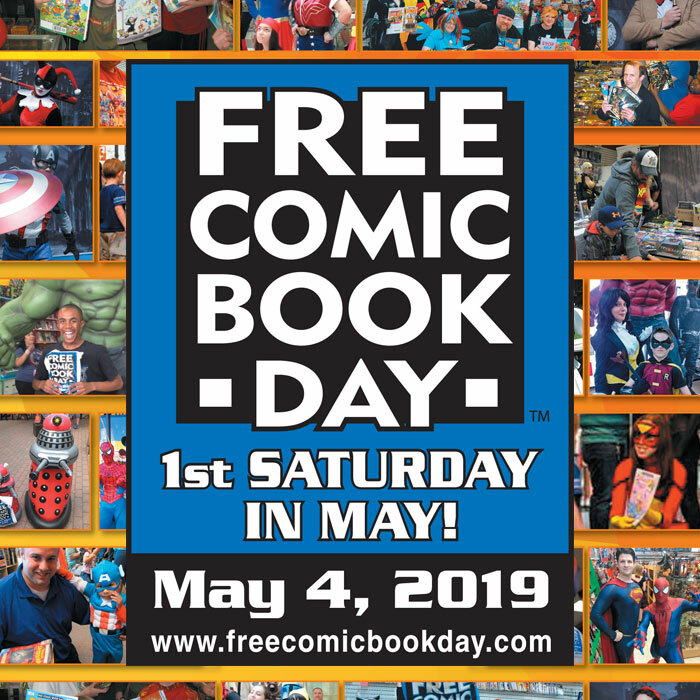 Come visit us on FCBD May 4th, 2019.